Is this the greatest Irish rugby team of all time? The 2009 squad probably had more household names, men who had changed the mindset of Irish rugby players and fans at both provincial and international level from plucky contenders to winners. 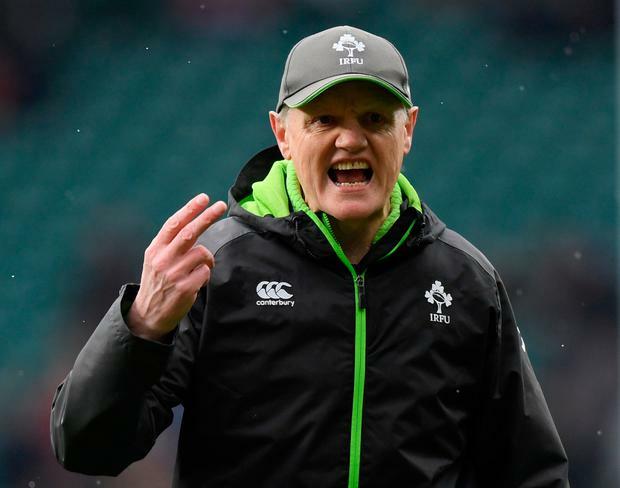 But this generation of players - the Joe Schmidt crop - are the first to beat the All Blacks, and they have now three Championships and a Grand Slam. You would have to believe and hope that Jacob Stockdale, Bundee Aki, Garry Ringrose, Tadhg Furlong and James Ryan can have the same legacy as Tommy Bowe, Gordon D'Arcy, Brian O'Driscoll, John Hayes and Paul O'Connell and continue to inspire all rugby fans and the next generation over the next decade. Can Jordan Larmour become the next Rob Kearney? Not that I am trying to prematurely replace our full-back as I feel he has had an excellent championship once again. Despite Stockdale, Ryan and Leavy not having huge international experience before this year's competition, the Irish performance systems are now producing multi-skilled, robust, powerful athletes who also arrive at this level with the mental toughness and maturity to handle pressure and expectation, and go to cauldrons like Twickenham and Stade de France and perform, and win. Schmidt has shown that he will back youth. When he sees a rough diamond there is no better man and coaching team to polish it. Look at Stockdale, who burst into international rugby in November. Some unconvincing performances in December and January had many pundits questioning whether he should have started against the French, but seven tries and a tournament record later and he is one of the most potent finishers in world rugby and is surely only going to get better with age. Ryan suffered a serious hamstring injury last season that required an operation. He wasn't fit enough to play for Leinster before the end-of-season tour to the United States and Japan so Joe organised that he could play a match for a Munster development selection and he duly got capped for Ireland before he played for his province. Only O'Driscoll and Michael Bent (direct from Super Rugby and injury crisis-enforced) have done the same. Andrew Porter was one of the best loosehead props to have played at the Junior World Cup in recent years. But Leinster and the IRFU looked at the depth of talent that we have in that position and decided to convert him to tighthead, which is the key position in modern rugby. We now have more depth in this position. Another example of strategic thinking that hasn't been a factor in this championship win but could become important in another or at a World Cup, was the decision not to renew the contract of Ruan Pienaar, which was controversial in Ulster but has allowed John Cooney to play week in week out. We now have at least one quality Irish-qualified scrumhalf in each province. Ireland's ability to get the referee onside match after match isn't by chance. Every team studies the referee and their style of refereeing but I don't think any team in the world are as good at adapting to that style and giving the referee the 'picture' that they tend to favour in all aspects of the game. Despite being under serious pressure in the first half and suffering a Peter O'Mahony yellow card, we forced England to score out wide through Elliot Daly and Owen Farrell missed the conversion. Back to 15 men, in first-half stoppage-time Stockdale showed that he has great footballing skills on top of his outstanding athleticism to chip and chase brilliantly. That try, giving Ireland a 21-5 half-time lead, was crucial. Championship-winning teams score important points at key times within matches. Last week we finished a tough first half against the Scots with a try in injury-time to go into the break 10-3 up. Before the game, Schmidt spoke about how he hoped Ireland could handle the emotional pressure to perform and most importantly to start well. That was crucial; as we had to be ready to stand up to the onslaught and physicality that England always bring in Twickenham. Ireland's preparation for this match was picture perfect, which it usually is, whereas England had selection dilemmas, coach comment and assistant referee controversy to deal with. England tried to bully us, but we showed huge energy and commitment from the first minute until the last. Our intensity forced them into countless handling errors and we made them look average. We already had the championship and were ranked second in the world but this win will be a huge boost psychologically when we have to go to Murrayfield and Cardiff next season, plus the World Cup in Japan, where I feel that we can go with serious aspirations. We are the best in Europe and although South Africa should improve under Rassie Erasmus they have a lot of ground to make up. I feel that we have the game-plan to really frustrate and challenge the All Blacks and Australia. The leadership and example that Rory Best, O'Mahony, Conor Murray, Johnny Sexton, Keith Earls and Kearney have given this squad needs to be acknowledged. We have incredible coaches and that is complemented by a group of men who are passionate about representing their country with pride. Eddie Jones will re-evaluate his plan for this England team and this blip could be a help to them in the long run if they can improve as a result of it. Ireland and Schmidt seem to have the ability to live in the moment and never rest on their laurels. Success will be celebrated as it should be but you can be guaranteed that on the summer tour to Australia they will be working relentlessly again to bring our game to the next level.